Just to give you a general introduction to heart rate monitors, let’s pose a question: Raise your hand if you spend two hours a day at the gym but are miffed that you don’t see the results you expected. Does that describe you? The reason you aren’t losing weight is that you aren’t working long enough in the Target Heart Rate Zone. We aren’t talking about doing sweaty, exhaustive workouts; by using Polar heart rate monitors you can achieve a fat-burning level just by increasing your cardio activity for short periods of time. 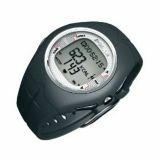 Heart rate monitors are gadgets with two elements: a wrist watch-style receiver and a wireless chest strap transmitter. The unit provides incredible amounts of information and you’ll advance your weight loss significantly by using one. Studies show that to achieve a level of aerobic activity, you need to raise your heart rate (HR) to a proper level for about 20 minutes. Generally speaking, that level falls between 65% to 85% of your maximum heart rate. 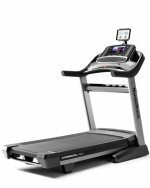 Only a handful of treadmills on the market come equipped with Polar heart rate monitors that can match the accuracy you’ll get from a personal wrist model. In fact, serious fitness buffs prefer to use a self monitor instead of relying on the HR function on a treadmill, elliptical or stationary bike. These personal gadgets will show you if you are below the target heart rate while exercising and will sound an audible alarm to alert you to pick up the pace. Once you step up into the zone, you’ll be amazed at the results you’ll see in a short time since you won’t be guessing at the intensity of your workouts. These monitors practically pay for themselves within the first month or two once you realize it isn’t the time spent in the gym or on the home treadmill that counts -- it’s the quality of the treadmill workout. 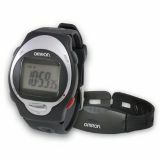 At $25, the Omron HR-210 Strap Free Monitor is the leading budget HRM that gets a high approval rating from its users. It’s a basic gadget that measures low/high heart rate, time display, a watch and an alarm. A very good-looking unit is the Polar FT4 HRM which retails for $89.95. This mid-value HRM offers the basic features plus: A zone pointer mode which displays where your heart rate fits within target zone; a time-in target zone which records the total amount of time spent in the proper zone; a 24-hour clock with day and week indicators; a stop watch, and more. 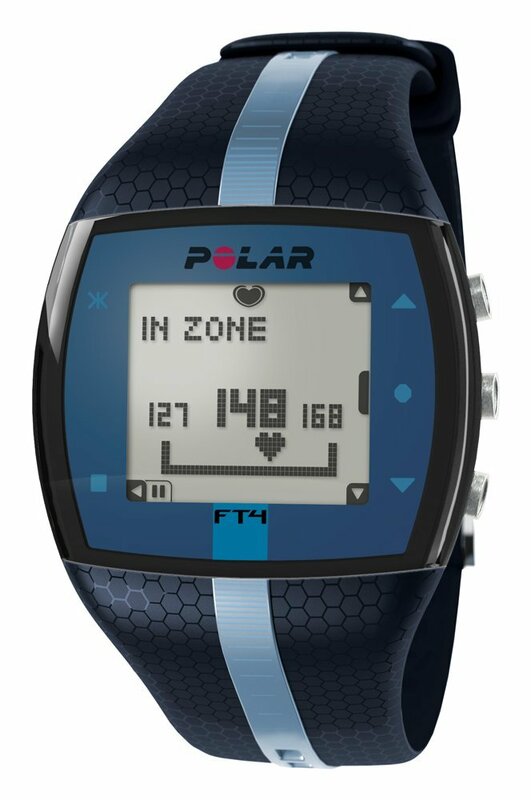 The Polar F6 Men’s Heart Monitor Watch ($109.95) includes even more training features. Above the $100 mark, you can expect the HRM to measure: body fat percentage; visceral fat levels; body mass index; resting metabolism; and skeletal muscle percentage. The Polar F6 Womens Heart Monitor is the same unit but comes in different colors and style. The Polar F11 Heart Monitor is a high end unit for $159.95. 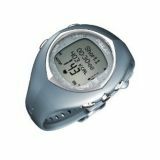 It included the features listed in the budget models above as well as: a personal Keeps You Fit Workout Program; Continuous ECG accurate heart rate (%HR max or bpm); and OwnCal to track calories with the percent of fat burned. It’s water resistant to 100 feet, and can display text in English, Spanish, German and French. In addition, the transmitter is coded to eliminate any possible interference from nearby heart rate monitors. Yes, if you follow the basic guidelines of hitting 65% to 85% of your max heart rate while exercising. You can wear one of these heart rate monitors throughout the day and increase your pace while doing household chores or just any exertion that can elevate your HR to the target zone. But imagine what you can achieve while wearing it on your treadmill! You’ll find yourself burning more calories and you will reach your weight goals in half the time.